Should That Manager Stay or Go? Standup comics, newspaper cartoons, and water cooler jokes use the woes of a bad boss as material on a regular basis. An incompetent supervisor affects an organization in a number of ways. 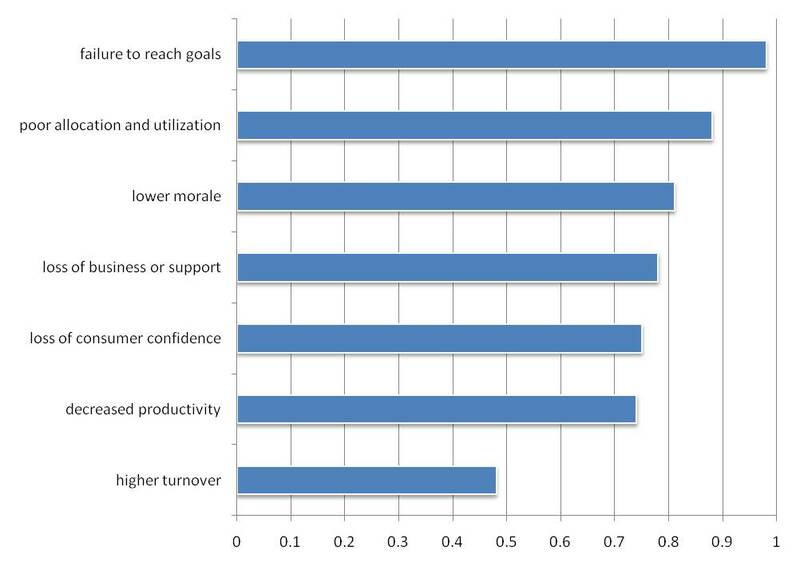 A previous posting summarized the impact that poor management has on an organization (see Figure 1). The most noted issues pertain to failure to reach business goals, poor allocation and utilization of resources, and low morale. The next cluster pertains to dissatisfaction of customers or even a loss of business. Finally, the third cluster contains reduced productivity and high employee turnover. What makes the findings even more shocking is that the lowest selected option, employee turnover still occurs in almost 50 percent of respondents. Put simply, an incompetent manager works against his or her organization in a multitude of ways even if he or she means well. So, what is the best way to deal with an incompetent manager? If these behaviors reappear periodically, then you probably have an issue with one of your managers. Successful organizations weigh the available options before deciding how to respond to the incompetent manager. In most situations, an organization enjoys two real options: rehabilitate or remove the manager. Neither solution affords an easy path. If an organization decides to rehabilitate, then it needs a specific corrective action plan, method of monitoring, and sufficient higher-level staff time. This diversion of resources toward the failing manager removes staff from productive activities, increases organizational and individual stress, and holds no guarantee of success. Moreover, a 2010 HCS survey found that the success rate of rehabilitation falls below 22 percent. Alternatively, removal of the manager forces the organization to search, recruit, and hire a new manager. Management searches cost large sums when accounting for the search as well as lost productivity. Depending on the industry, the cost averages between $35,000 and $75,000. To make matters worse, the new candidate may be no better. Regardless of the chosen course, an organization needs to commit to one or the other. Although making a decision addresses a single situation, most organizations have challenges with more than one manager. 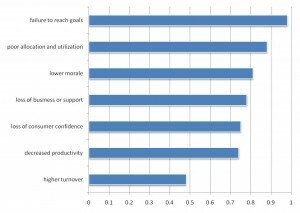 The real key to dealing with this issue starts with committing to identifying highly capable managers, utilizing effective screening tools, rewarding managers consummate with their contribution, supporting managers during hard decision, developing internal candidates as well as managers, and reinforcing the standards set by the organization. Being proactive not only increases the chance of organizational success, but reduces the need to identify and act on poor managers. This entry was posted in Leadership, Organizations and tagged bad boss, incompetent manager, poor leader. Bookmark the permalink.